He is not here: for he is risen, as he said. Come, see the place where the Lord lay. And go quickly, and tell his disciples that he is risen from the dead; and, behold, he goeth before you into Galilee; there shall ye see him: lo, I have told you. And they departed quickly from the sepulchre with fear and great joy; and did run to bring his disciples word. And as they went to tell his disciples, behold, Jesus met them, saying, All hail. And they came and held him by the feet, and worshipped him. Then said Jesus unto them, Be not afraid: go tell my brethren that they go into Galilee, and there shall they see me (Mt 28:1-10). No matter how hostile, inhospitable or belligerently ‘secularised’ the world becomes, nothing will change one immutable truth: Jesus is alive. The resurrection of Christ is the first fruits of the full harvest – the resurrection of all the dead and the salvation of all believers. 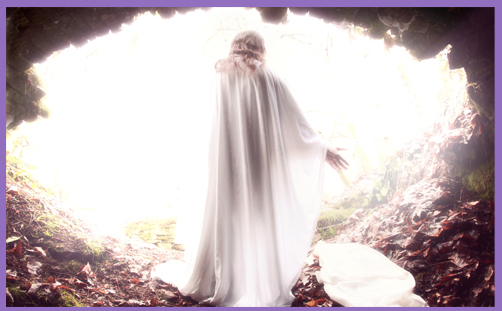 The risen Lord is the ‘firstborn from among the dead‘. The power of sin has been conquered, but the consequence – physical death – remains, awaiting a future consummation. The Spirit is the guarantee of our ultimate redemption. The Resurrection split history in two; it divided familiar millennia BC from an unchartered AD of unknown duration. It isn’t politic to say so in this age of moral relativism and religious equality, but Moses, Mohammed, Buddha and Guru Nanak are all dead and buried in their tombs. Only Jesus is alive. Of course, to the superior intellects and enlightened ones, this is but a fairytale, a fantasy, a delusion of inculcated hysteria and cultural spirituality. But if Christ has not been raised, then our preaching is in vain and our faith is in vain. Christianity stands or falls with the Resurrection. His death on the cross is historical fact brought about by man. His resurrection is an eschatological event brought about by God. Just as God delivered the Israelites from slavery in Egypt and gave them the Promised Land, so He delivered mankind from sin and death that we might have the promise of eternal life. The blood of the first Passover which spared Israel’s firstborn foreshadows the second Passover and the Lamb who died that we might be born again. To have mourned at the cross, despaired at the death, wept at the graveside, and then to have met the Risen Christ must have been an inexpressible joy. That joy is now ours. And yet the world is still shrouded in darkness: we suffer, grieve and feel unbearable pain. We weep with those who are persecuted, exiled, beheaded or otherwise summarily murdered for their faith in Jesus. They carry crosses to their own Golgotha. A thousand futures are snuffed out every day in the fanatical religious cleansing which is sweeping throughout the Middle East. We can abhor the regimented lines of lifeless bodies bathed in blood and splattered by the curse of inhumanity. We can gaze in horror as wives are raped, husbands slaughtered and children orphaned to a life of bereavement. But just as the cross preceded Christ’s raising from the dead, our resurrection is dependent on our suffering, death and burial. We must never forget, amidst all this evil, that the One who was dead is alive. His bloody corpse is no longer in a grave. And He knows the name of every one who dies in Him and for Him. If you listen carefully, He will speak your name and call you to Himself – not for a life of happy-clappy carnivals, the esteem of the world or any sense of approval of your belief. But for the deepest joy of knowing, and a peace that passes understanding. The evil of the world is a scandal of interminable suffering and pain. But death is not the end: Jesus is alive. They can mock us. We will answer them with words of wisdom and grace. They can persecute us. We will lift our arms in prayer and praise to God. They can kill us. We will multiply and flourish because Christ is risen and the Resurrection is the seal of our hope. The Resurrection of Christ changed everything because it changes us. A happy and blessed Easter to all readers and communicants.